Back in December, I participated in my first model shoot. I’ve never photographed models before so it was a bit of a learning curve. I wasn’t really sure of how to give the models direction or even what I wanted. I felt rather silly so I mostly hung back and watched what the other photographers did and tried to learn from them. We (the photography club I joined on Meetup) held the winter fashion shoot at Big Hill Springs Provincial Park. It was very, very cold that day! My heart went out to the models who were freezing in their outfits. I brought my Mamiya C220 TLR with me and tried shooting Kodak Portra 400 film. 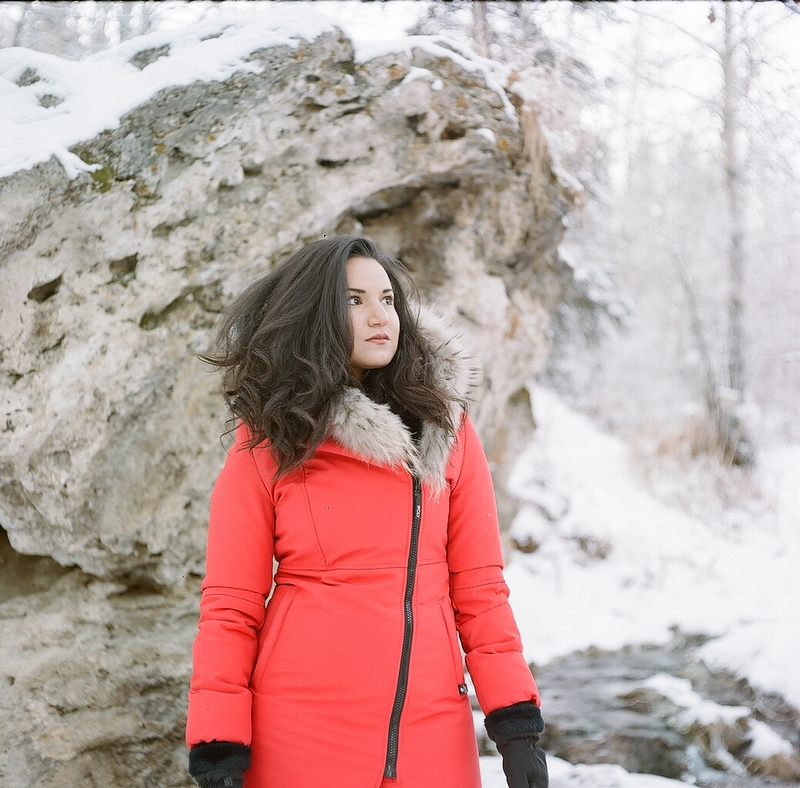 Considering that the light wasn’t the greatest that day, the Portra film performed admirably. Of course, I had to take longer exposures and that meant that when the models moved, I ended up with many blurry photos. These are the only two that really turned out. #316. Model: Nadia. Kodak Portra 400, Mamiya C220. #317. Model: Nadia. Kodak Portra 400, Mamiya C220.